Sometimes, it may seem like my choice in restaurants might seem odd considering there are better choices to be made. However, one must factor in convenience as a major determining prerequisite. This is especially true when kiddies are in the picture. Well, this time in New Orleans, that wasn't the case. 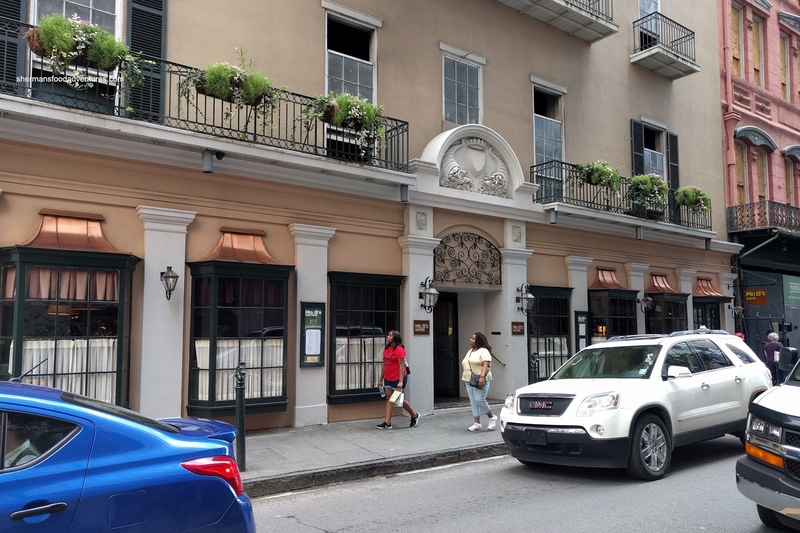 Rather, we were already in the French Quarter, so it would make sense to eat in the French Quarter. 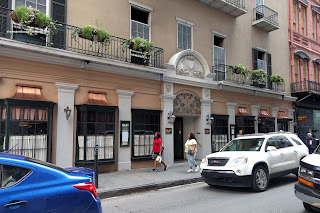 We realized that many of the spots are tourist traps, but Mr. B's Bistro seemed to have a redeeming quality. 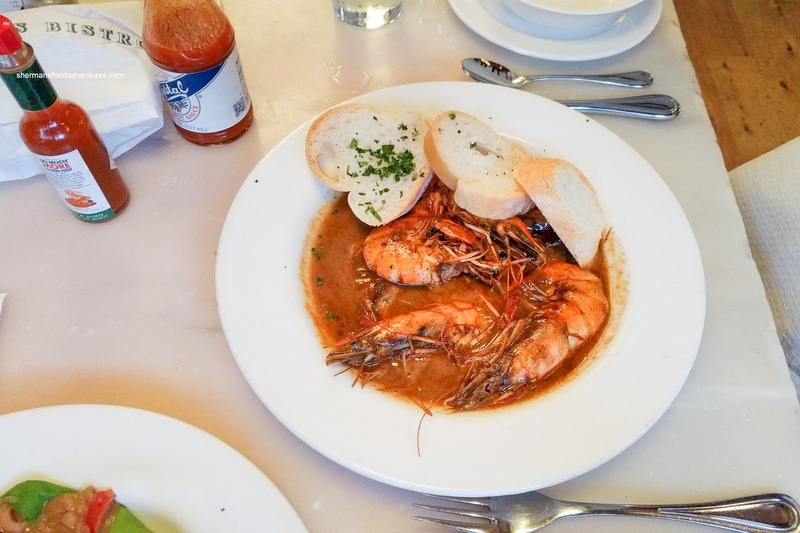 It boasts the "best" BBQ shrimp in the city. Yes, I realize the risk of such a statement, but we went on a recommendation by Mijune. 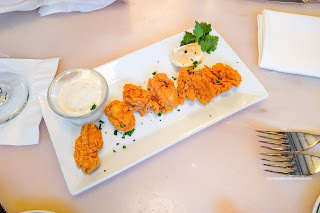 We started the meal with some Fried Oysters since we hadn't tried any up until this point (only day 2 though). These were buttery and barely cooked through which meant there was plenty of briny juices. The breading was super light and only lightly crispy while being a touch greasy. We would've preferred for a firmer crunch, but then again, that might've overcooked the oysters. On the side was a jalapeno tartar sauce which was quite mild and resembled a kicked up thousand islands. 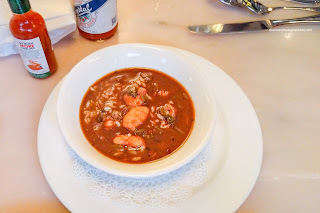 We also got a order of the Seafood Gumbo which they split into 2 portions for us. It was not heavy at all with smoky and briny elements. There was a nice balance between the sweetness and saltiness. We enjoyed the low rumble of spice that lingered to the end. As for the seafood, everything was on point where it was not overdone. Onto the main event, the BBQ Shrimp didn't look like much, but in reality, it was extremely tasty. We liked how they used the entire shrimp shell and all because it kept all of the sweet juices in. Furthermore, the shells added another level of aroma to the dish. We did find the shrimp a tad overdone except for the 2 bigger ones. They were meaty and sweet with penetrated flavours from the rich peppery sauce. It was appealingly salty with sweetness. Compared to the one at Emeril's, this one was more balanced. 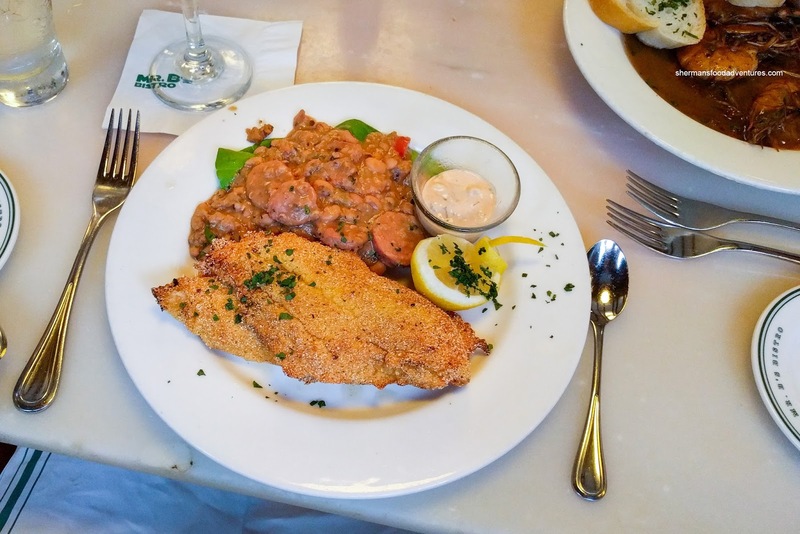 For myself, I had the Catfish which was coated in crunchy cornmeal. It was well-seasoned and not greasy at all. The fish was buttery and soft while being surprisingly not murky-tasting. The creamy beans and sausage on the side was rather filling, but nice texturally. Overall, we found the things we ordered at Mr. B's to be fairly good. Sure, the shrimp was the best of the bunch, but there is more than that at Mr. B's.